News spreads fast that the OnePlus 5 features a jelly scrolling effect, which according to the company, is nothing out of the ordinary. This was due to the actual display of the smartphone positioned in an inverted manner and while the manufacturer has managed to fix the display problem via a software update, the jelly scrolling effect still persists. Now, insights into the matter have revealed that the company’s obsession with copying the design of the iPhone 7 Plus might have led to the inverted display mounting. OnePlus might not have made a mistake with the mounting on the display on the OnePlus 5, according to published reports as well as a detailed Reddit thread, so it might have been done on purpose so that the smartphone could achieve the physical resemblance of the iPhone 7 Plus. This isn’t a new approach carried out by Chinese manufacturers but if this design has become a popular addition to mobile devices, why change it at all right? Since the OnePlus 5 features a dual-camera configuration, OnePlus might have been forced to move the display’s controller to the bottom of the screen. Remember, the OnePlus 5 and OnePlus 3T feature the same display controller, with the primary difference being here is that the controller positioned at the bottom was done in order to have sufficient room inside the handset for the dual cameras and antenna at the top of the handset. 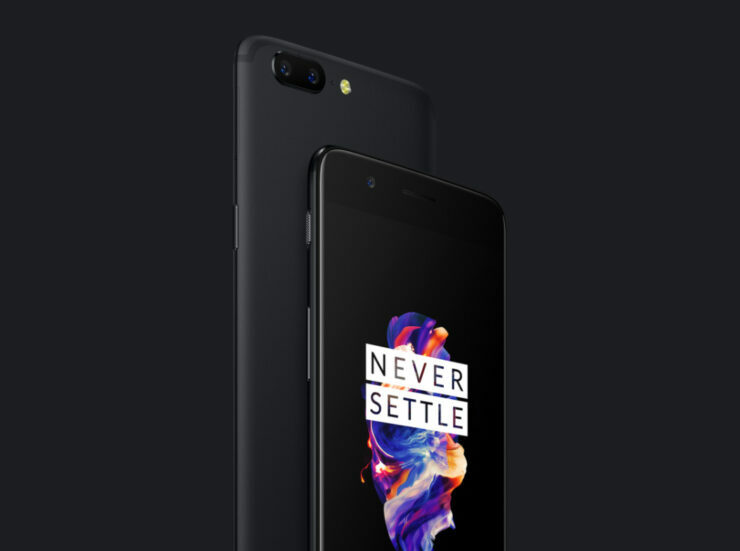 OnePlus 5 also sports the same display as the OnePlus 3T, which means that there are several aspects of the affordable Snapdragon 835-powered flagship that the company kept constant with its predecessor in order to keep costs down to a minimum. Positioning the display controller might have allowed OnePlus to achieve its objective to give the OnePlus 5 a dual-camera feature but at the cost of giving that jelly scrolling effect. How important do you guys think it is to start from scratch as far as the smartphone design goes? Tell us your thoughts down in the comments. iPhone 7 Plus Was the Second-Best Selling Phone in 2017, but Not in the U.S.